Robert Hafey wants to change how the world views safety. In September 2019, Robert Hafey will be heading to our shores to host two-day workshops across Australia and New Zealand. Attendees will find through these workshops, a methodology they can use to engage their workforce. The management philosophy titled Lean has been in practice for 20 years and yet many or most companies who have attempted to make it a core principal in their business operations have struggled or failed in their attempts. Before we explore why that is the case, we must first understand the foundation, or building blocks of Lean. By knowing the definition and intent of Lean we will be able to quickly see which parts have been neglected, misunderstood or ignored by business leaders. So why is such a seemingly simple concept so difficult to successfully implement? I believe it is because leaders deliver a very confusing message concerning the intent, focus and purpose of their Lean efforts. Or to state it another way, their purpose motive is not, intentionally or unintentionally, clearly stated. They have too often focused their reports on one of the outcomes of Lean rather than true north target of reducing cycle times to customers. That outcome is cost savings. Leaders understand that by reducing business process cycle-times labor hours can be dramatically reduced which will in turn reduce their operating costs. There is no denying that Lean can accomplish this, but that is an outcome rather than the goal of Lean. When it becomes the stated goal of Lean both the communications and actions of management destroys trust in the workplace and that is problematic, for Lean is a trust building cultural change journey. These same leaders think Lean is a program rather than a philosophy and fail to see the need, or have the inner desire to spend the time, to earn the trust of their workforce. They fail to recognize or care about the critical importance of the third pillar of Lean – respect for people. This alone is responsible for most Lean implementation failures. The focus of leadership in this scenario is clearly on financial results rather than on their people who if empowered and engaged could have a dramatic impact on the financial results. They are dollar centric rather than people centric leaders. The cost savings purpose motive, when delivered by management, makes little or no sense to the workforce for they envision the expected reduction is operating costs to result in layoffs or redundancies. No one will give their heart and mind to an effort that will result in the loss of their employment. Without trust, Lean is a bust. Eventually management tires of pushing Lean on an unreceptive fearful workforce and their program dies. But it is not Lean that fails; it is management that fails for they have failed to impact their workplace culture by earning the trust of their employees. A common requirement to attain either world-class lean or world-class safety is ongoing engagement of the workforce. 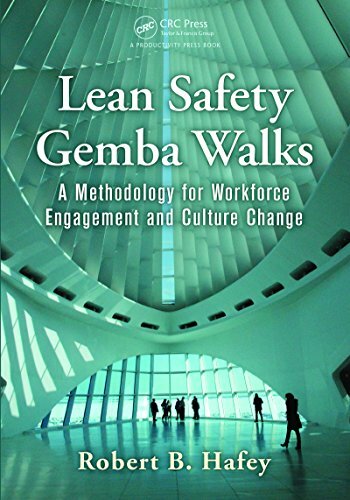 Lean thinkers agree that culturally impacting employee engagement leads to long-term lean success. Too often lean has been used as a cost savings methodology by management and as a result gaining employee interest and buy-in can be difficult. 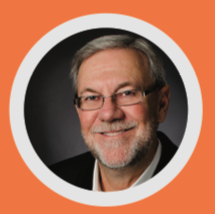 This workshop suggests a different path to lean success – a safe path. By using some of the common tools in a lean thinker’s tool box and focusing on safety instead of cycle time, you can easily start to build an understanding and acceptance of lean while you improve safety in your facility. The workshop will engage attendees in activities that will enable them to have a direct impact on employee safety and operational continuous improvement when they return to their facility. Attendees will leave with an understanding of ergonomic related injury risks and how eliminating them can reduce operational process cycle times. Attendees will leave with a methodology they can use to engage their workforce.